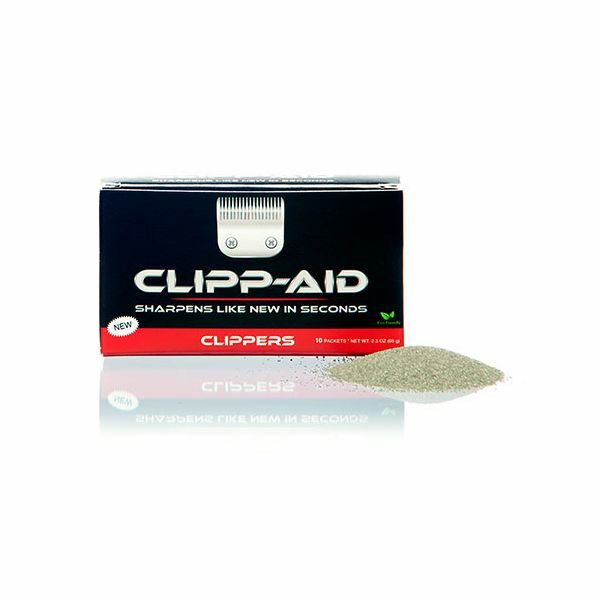 Clipp-Aid® is a unique clipper and trimmer maintenance product for barbers and stylists. This all-in-one product allows barbers to clean and sharpen their metal blades like new in less than 2 minutes, right in the convenience of your barber shop or salon. What's cool about Clipp-Aid® is that using it once every 2-3 weeks removes all the hair, dirt and grime that gets stuck between your blades. It keeps your clipper and trimmer blades sharp at all times. The sharper the blade, the crisper the cut! 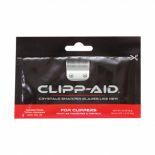 With regular use of Clipp-Aid® you can use the same blade for many more months allowing barbers and stylists to keep more money in their pockets. You know when barbers/stylists have to change or sharpen their blades, those blades have been dull for a really long time! It is best to have hair present so that you can test the sharpness of your blades when done. Will using Clipp-Aid® cause damage to my clippers or trimmers? Our research shows no risks or damages to clippers or trimmers with the proper use of Clipp-Aid® products. No, Clipp-Aid® is not sand. Clipp-Aid® is specially formulated crystals that are made out of natural ingredients. 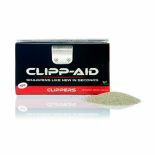 How well does Clipp-Aid® work for my trimmers? Trimmer blades are more sensitive than clipper blades. For trimmers, it is important to remove any dirt, dust, grime and other debris from between the blades after using Clipp-Aid®. We recommend using blade wash or removing the blade from the machine. Can metal blades really be sharpened in seconds? Yes, we made the process for using Clipp-Aid® as simple as possible. 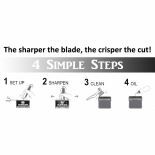 Follow the "simple steps" instructions to sharpen your blades and see the results in seconds. How frequently should I use Clipp-Aid®? For normal use, we recommend using Clipp-Aid® every 3 to 4 weeks. New blades require less frequent use. Also, the frequency of use depends on how often your clippers and trimmers are used. Does Clipp-Aid® work on old blades? When first using Clipp-Aid®, how old the blades are does make a difference. Blades that are over 5 months old are duller blades. We suggest using Clipp-Aid® 2 to 3 times in a row to get those blades sharpened. Follow the Simple Steps on the product label or website. 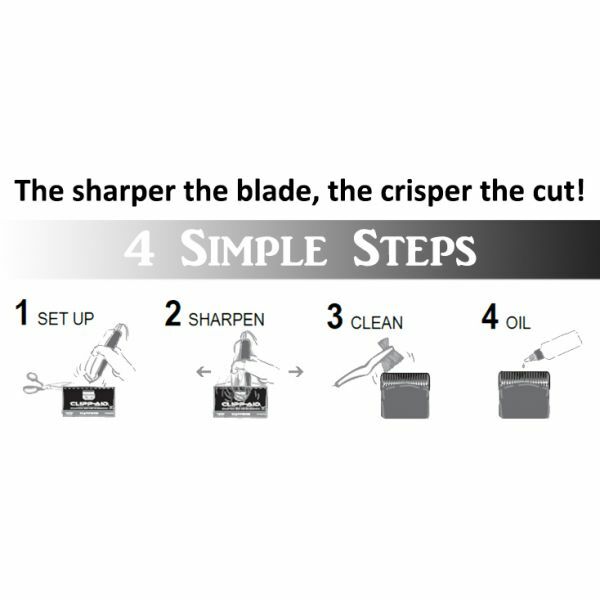 Once sharpened, you can transition to using Clipp-Aid® every 3 to 4 weeks to keep their blades sharp. Clipp-Aid® will extend the life of your metal blades. Does Clipp-Aid® work on new blades? Blades that are up to 1 month old are sharper blades. As the blades are used more, they get more dull. Clipp-Aid® will keep the blade sharp. You will notice when the blade becomes dull because the dull blades will snag your clients' hair.